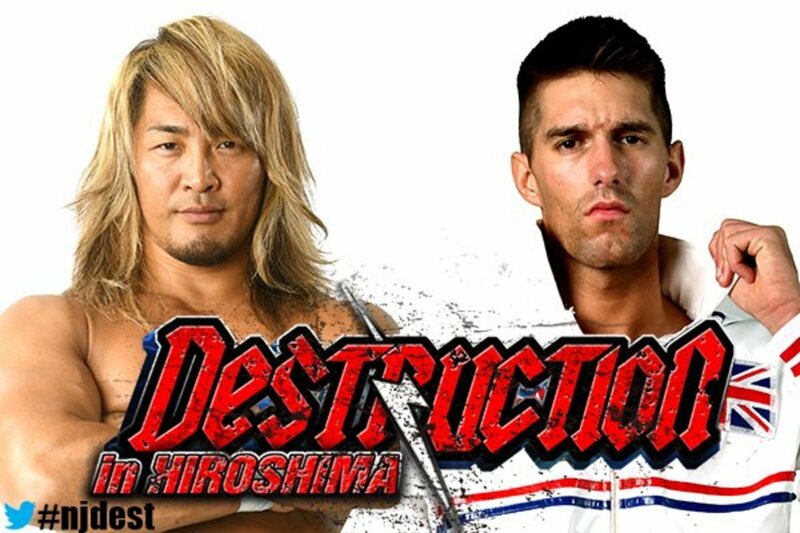 New Japan announced their big matches for the next couple of months this evening as full cards for all three Destruction shows have been released, as well as key matches for King of Pro Wrestling in October. IWGP Heavyweight champion Kazuchika Okada will square off against the person who beat him during the G1 Climax tournament, EVIL, at King of Pro Wrestling. Tetsuya Naito will also look for his win back as he will take on Tomohiro Ishii for the Tokyo Dome briefcase. Destruction this year will consist of three big events spanned across the month of September. On the 10th in Fukushima, NEVER Openweight champion Minoru Suzuki will defend against Michael Elgin. NEVER Six Man tag team champions EVIL, SANADA and BUSHI will defend against the Chaos trio of Kazuchika Okada, Toru Yano and Rocky Romero. The second show, held in Hiroshima on September 16hj, will have IWGP Intercontinental champion Hiroshi Tanahashi going against the man who beat him during the G1, Zack Sabre Jr. IWGP Jr. tag team champions Ricochet and Ryusuke Taguchi will mark their first defense of the titles, squaring off against the Suzuki-gun duo of Yoshinobu Kanemaru and Taichi for the IWGP Jr. titles. In what is being billed as their final match, Roppongi Vice will face Yujiro Takahashi and Chase Owens. The final show in Kobe on September 24th will have the first ever defense of the IWGP United States championship as champion Kenny Omega will defend against Juice Robinson. War Machine will battle Guerillas of Destiny and the returning Killer Elite Squad in a triple threat match for the IWGP tag team titles. This match will go down on all three shows, all for the title. Full cards can be seen below, along with dates and the times they will air live on New Japan World.